Alan plays oboe and English horn, has served as our librarian, and joined QUO in February 2010. E-mail message through ACMP. A flutist friend was at my place and we applied together. QUO needed an oboe but no flute. I’m afraid it ended our friendship but QUO is worth it. Walking/eating/shopping tour of Lower East Side, Chinatown, Nolita, and SoHo. How long have you been playing oboe? 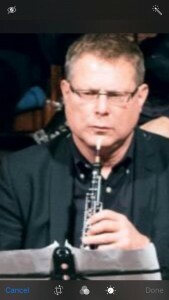 In 7th grade beginning winds, the teacher said, “I have so many signed up for clarinet but no one on oboe.” I literally didn’t know what an oboe was but was already adept at giving teachers what they wanted. I set it aside when I went to college and didn’t pick it up again until I was 40. Big mistake, given how important music is to me now. You never get those years back. Question from Andy: Do you prefer playing your instrument more as a solo instrument or more as part of an ensemble? Oboists love playing ensembles because we always get solos!